After striding in 2019 in fantastic fashion with a monumental second birthday headlined by DJ HEDSPIN (Redbull Thre3style World Champ) and Subb-An, Kuala Lumpur’s scene-leading Club kyō KL now announces its February and March line-ups with names like Anastasia Kristensen, Paul Johnson, Clive Henry, Charlotte de Witte, Black Coffee and plenty more. 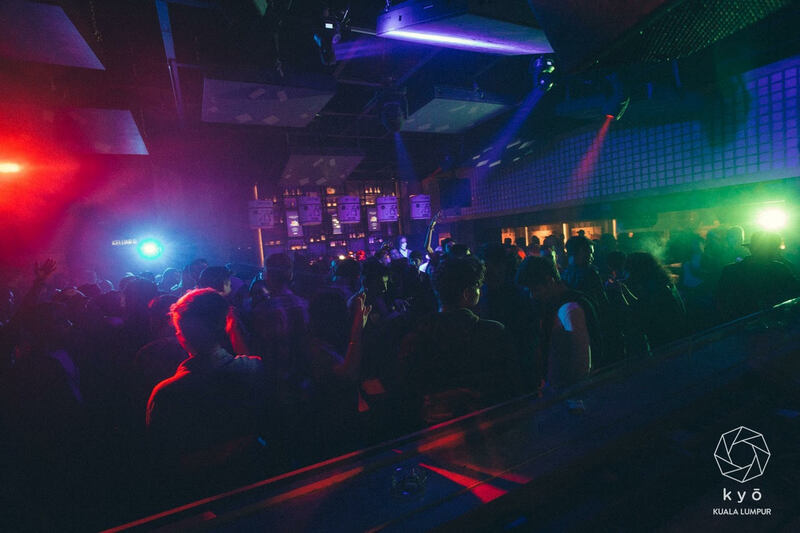 This club has breathed fresh new life into the dance music scene in Kuala Lumpur. Its forward thinking bookings often bring new sounds and and styles to the region from stars right at the vanguard at the scene. Mid-week offerings bring the freshest hip hop and r&b, and the whole place is built around its crystal clear and punchy sound system. Widely regarded to be one of the best in Asia, the rest of the club is sleek and cosy, with an edgy urban feel making it a perfect place to party. The next couple of months of line-ups confirmed that once again. February 8th sees Substance welcome Denmark’s Anastasia Kristensen. One of the hottest new names in proper techno, her blistering sets fuse hard edged styles with rave nostalgic and epic electro to devastating effect. On the 22nd, UK house legend Paul Johnson brings his pivotal sounds to Ren, while Kyo is taken care of by DJ Fatfingaz who brings plenty of New York flavours. The Sweatbox Long Play welcomes the Circo Loco legend that is Clive Henry will play for a very special seven hours on the 23rd. His chunky, stripped back house sounds keep floors locked in for days and that night will be no different. Lastly for February, the 28th sees FWD Present Belgium’s breakout techno star and uncompromising DJ and producer Charlotte de Witte fly in. Her releases on Mary Go Wild and Mule have made her one of the hottest properties of the day. March kicks off with ViViD presents Black Coffee on the 7th. He is one of Such Africa’s biggest house exports and a key player in his homeland’s booming scene. His spiritual, synth laden sounds and rolling rhythms made him one of the most popular names in Ibiza last summer, then the night after So So Savage present DJ Irwan & Rico Greene from the Netherlands as part of vital Wired Music Conference that is taking place in the area. Egyptian main room titans Aly & Fila play on the 14th for Kyo x Plural Presents, then Matthew Law on the 23rd and Geisha Playground presents ROSH on the 27th close out a stunning month.